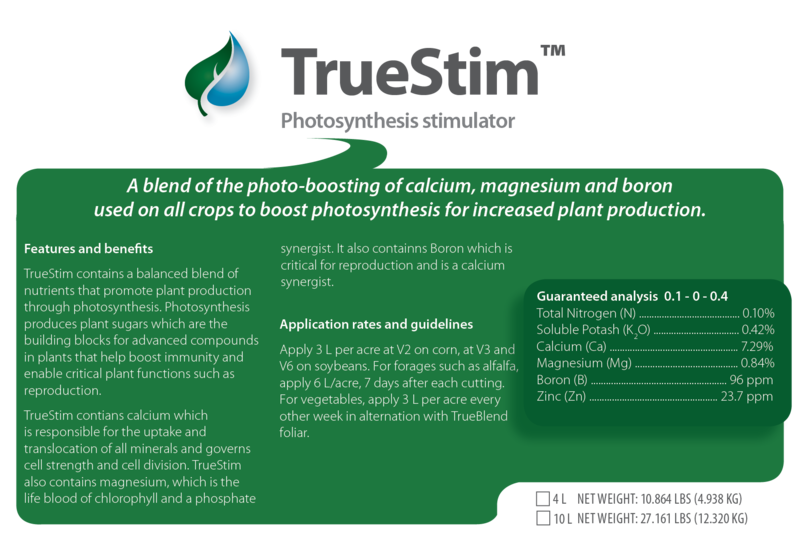 TrueKelp Liquid is 100% Ascophyllum nodosum, sustainably harvested from the North Atlantic Ocean. TrueKelp organic contains an abundance of trace elements and minerals as well as vitamins and enzymes and other beneficial components. 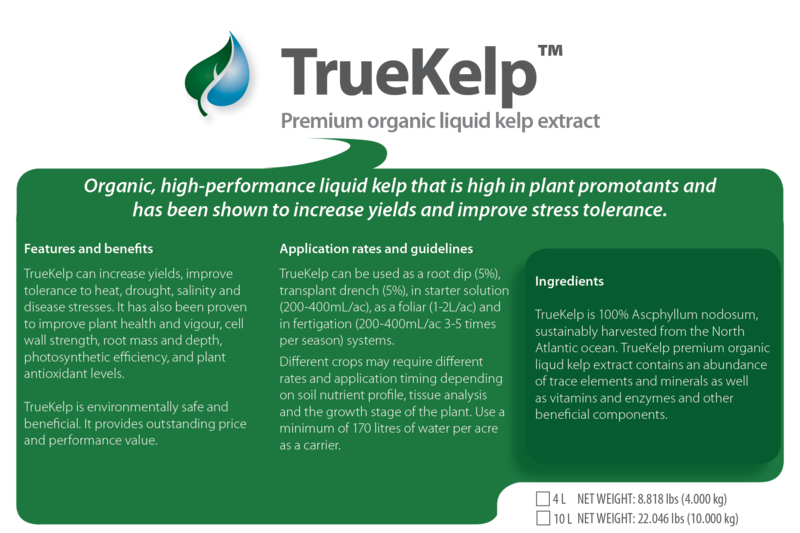 TrueKelp has been proven in independent testing to increase yields, improve tolerance to heat, drought, salinity and disease stresses. 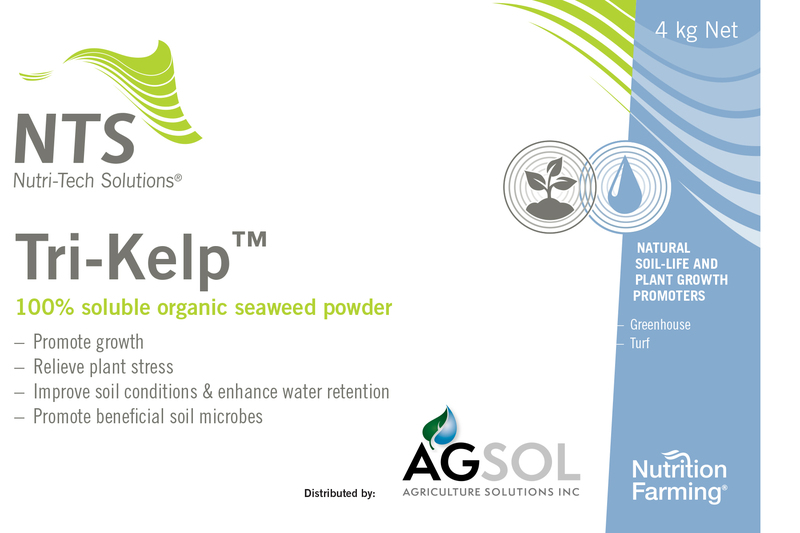 TrueKelp is a registered trademark of Agriculture Solutions Inc.